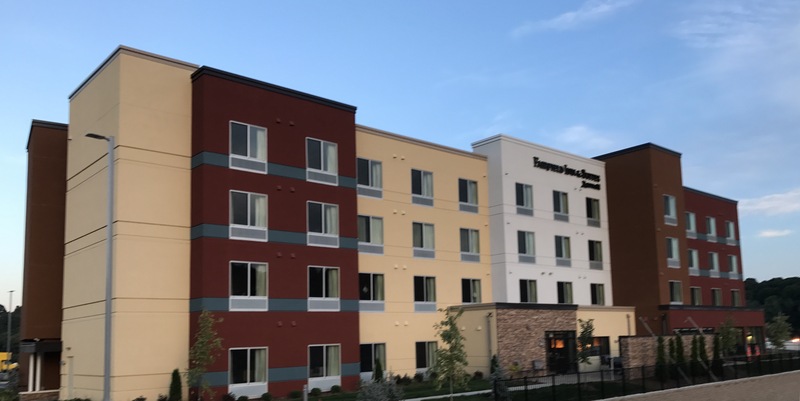 Northfield, MN – June 11, 2018 – Rebound Hospitality is pleased to announce the hiring of Ken Pankow as General Manager of the Fairfield Inn & Suites Northfield – www.marriott.com/mspnf. The hotel is scheduled to open in early September of this year. The Fairfield by Marriott will feature 80 guest rooms and suites, a full-service bar including a 1200sqft deck overlooking the Cannon River, a pool, fitness room, market and a board room. Ken and his wife (Sharon) recently relocated to the area and will close on a home in Northfield later this month. Ken has past experience as a small business owner including 18 years as a Play It Again Sports franchisee. Ken spent the last 6 years as general manager of the Super 8 Hotel in Bemidji, MN. Ken and Sharon have two children, Kole, who recently graduated from the University of Minnesota Duluth and Shauna, who is attending the University of Wisconsin River Falls. Ken is a long-time tennis coach at both Bemidji high school and Bemidji State. “Ken’s experience as a business owner, coach and community volunteer will serve us and the Northfield community well as we build our team and tourism in Northfield” says Todd Byhre, COO of Rebound Hospitality. On Wednesday, June 20th the Fairfield Inn by Marriott and the Archer House River Inn will be holding a joint job fair in the Archer House lower level conference room from 8am-11am and 3pm-6pm. Job applications for both properties may be picked up in advance at the Archer House River Inn or by emailing kenpankow@reboundhospitality.com or generalmanager@archerhouse.com. Both hotels will be hiring for guest service, housekeeping and night audit positions. The Fairfield will also be taking applications for guest service and housekeeping managers and supervisors as well as a bar manager and bartenders. Rebound Hospitality, the management company for both Northfield properties, is focused on developing businesses and people that are dedicated to serving and connecting their communities. They operate multiple hotel properties in addition to the Fairfield Inn & Suites Northfield and the Archer House River Inn including the Des Lux Hotel (Des Moines, IA), the Hotel Winneshiek and Fairfield Inn & Suite (Decorah, IA). Rebound Hospitality recently purchased the historic Exchange Building in downtown St. Paul, MN and plans to convert it to a 72 room boutique hotel opening in the second half of 2019.